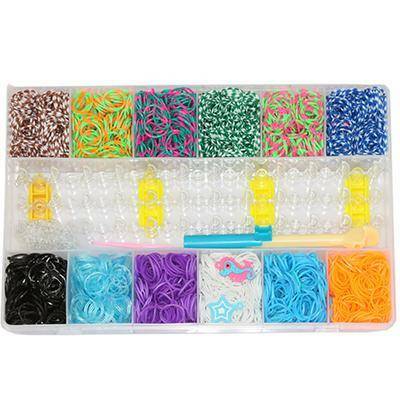 Loom bands set with loom and small loom, three crochets, clips and 2 pendants. The colors of rubber bands in the boxes are random. QUALITY CERTIFICATE.